This game avatar is kind of disturbing, especially if you live in the United States and have witnessed the recent creepy clown epidemic. With epic creepy clown figures like Stephen King’s “It” and the real-life John Wayne Gacy, clowns have come to be figures that strike terror into the hearts of children and adults alike. Why not continue the scare-fest by sporting this Carnival of Terror avatar? If you don’t have this avatar yet, you obtain it by submitting a score of 725+ points in the game Carnival of Terror. I don’t know about you but mutant Neopets give me the creeps, making this avatar representing the Mutant Kacheek from the Graveyard of Doom II game the perfect choice for a Halloween avatar. The Mutant Kacheek in the avatar is even carrying a spooky little pumpkin lantern! To obtain this avatar, submit a score of 2,250+ in the Mutant Graveyard of Doom II game. This avatar depicts a flaming evil coconut that will send shivers down the spines of all who see it! To obtain this avatar, you must knock over a coconut in the Coconut Shy game located in the Deserted Fairgrounds. Count Von Roo has been a symbol of Halloween in Neopia for a great many years. This vampiric Blumaroo has spooked thousands of Neopians over his lifetime, making this avatar a top choice to use for Halloween. To obtain this avatar, play Deadly Dice and tie Count Von Roo, then win. If you play again and happen to lose, you will also lose the avatar, so beware! Korbats are a species made for Halloween and everything spooky. To obtain this avatar and scare the pants off of your NeoFriends, make it on the Top 50 list for Korbat’s Lab when trophies are awarded, which happens on a daily basis. This avatar is a cute and creepy choice for Halloween, depicting the fun image of a Halloween Ruki all wrapped up like a mummy risen from the dead! To obtain this avatar, view the lookup of your Halloween Ruki and its attached 30+ day old Mummy Baby. This avatar is one of my absolute favorites to use for Halloween. From the purple and green color scheme to the chilling artwork of a Lenny dressed as a witch and stirring a cauldron, this avatar has everything you need for the spookiest holiday of the year. To obtain this avatar, feed your Lenny any spooky food item. How very scary, a ferocious Werelupe! To obtain this avatar, visit the lookup of your Halloween Lupe. A favorite on the Neoboards, this avatar is a little more on the hard to get side of the spectrum but well-worth the effort! To obtain this avatar, have a Meowclops attached to your Neopet and visit the Quick Ref page. One of the most sought after avatars for this time of year is the Edna avatar. Edna is the star of Halloween in Neopia and rarely likes to give out this coveted avatar. To obtain, complete one of Edna’s quests that ask for “a few” items (usually reported to be three item quests) and cross your fingers for luck! This clickable avatar has the perfect spooky/cute ratio for Halloween usage! To obtain, visit the lookup of a Halloween Uni between the hours of 8 PM NST and 6 AM NST. Easy peasy! This avatar has not been available to obtain since 2014, however, it is a wonderful choice to use for Halloween if you have it in your collection. Depicting a grim reaper style Halloween Mynci, what could be creepier than this avatar? 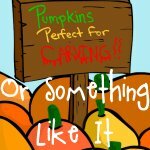 How perfect for Halloween! Who wants to go monster hunting with me? Just make sure you don’t take out any trick-or-treaters by mistake. Even if you do, we can hide the bodies in the Haunted Woods, yeah? I mean, uh.. anyway, this avatar is a retired site event avatar from 2013 and no longer available to obtain. BOO! Haha, just kidding. Seriously, though, this avatar is a terrific choice for our favorite holiday, if your Neopet can beat the Ghost Lupe in the Battledome. Luckily, the Ghost Lupe is one of the easier Battledome avatars to obtain – your Neopet doesn’t even need to have crazy high stats or expensive weapons! This avatar always reminds of me of Edgar Allen Poe’s “The Raven”, both of which (the poet and the poem) have a disturbing legacy. Ravens are an ominous symbol in real, making this avatar a great choice to spook your NeoFriends with on Halloween. To obtain this avatar, your Neopet will have to put in a bit more effort than he/she did with the Ghost Lupe, but it isn’t too hard to beat the Black Pteri. As the title suggests, this avatar sports the image of a creeptastic Halloween Moehog, and that’s pretty scary all by itself. 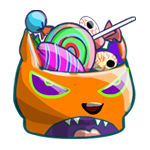 To obtain this avatar, view the lookup of a Halloween Moehog while having an item with the word “Sloth” in it in your inventory. This avatar is one of my favorite easy-to-get choices for Halloween. Vira is famous for her evilness and the blood red background to this avatar only adds to the perfectness. To obtain this avatar, simply have a mirror in your inventory and visit Vira’s page in the Gallery of Evil. If you’re in the mood for a scare, then take a trip to the Haunted Woods if you dare! Scaredy-kacheeks should beware, and take heed to stay far away from there.